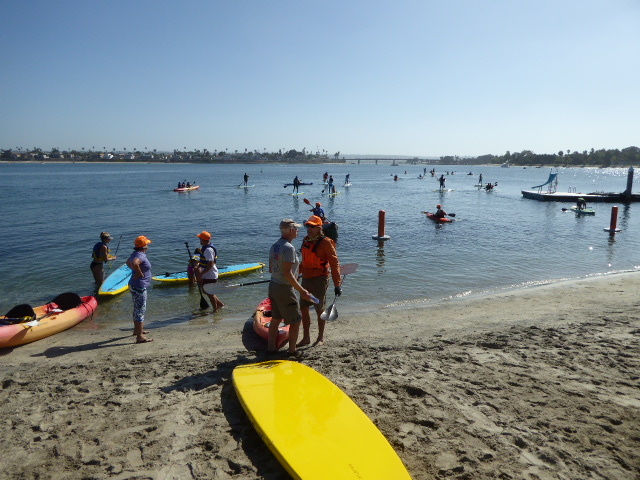 Ten people paddled on Saturday, March 30th to see the National Wildlife Refuge in the south part of San Diego Bay. The elusive turtles did not come to the surface where we paddled, and are rarely seen (they come up for a quick breath, then are gone). We did see fish jumping, and several birds, including a pair of Ospreys in a nest provided by the Refuge (below). The weather was beautiful, and a slight head-wind on the way back gave us a mild challenge. 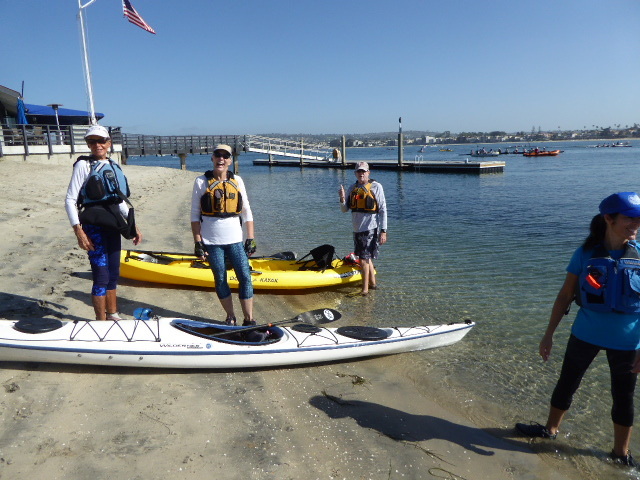 We ended the paddle with some sightseeing in the Coronado Cays, then had lunch in the park where we launched. It was a good day on the water. This entry was posted in Uncategorized on April 1, 2019 by Jay Murdock. 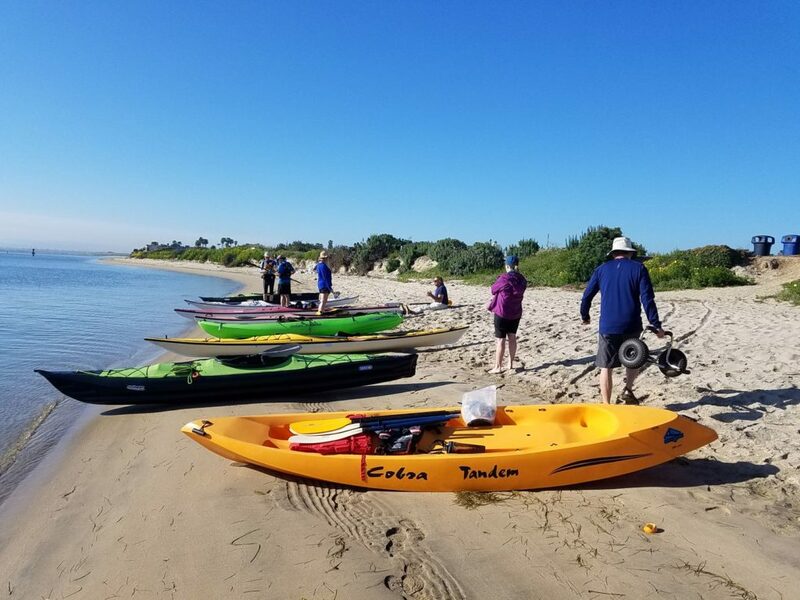 We are going to paddle the south bay and check out the giant Green Turtles and many birds there. 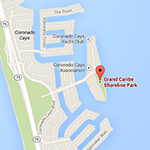 We will meet at the small park at the east end of Grand Caribe, in the Coronado Cays. If you have a bird identification chart, bring it. Please note the disclaimer below. This paddle is ideal for bringing kids. 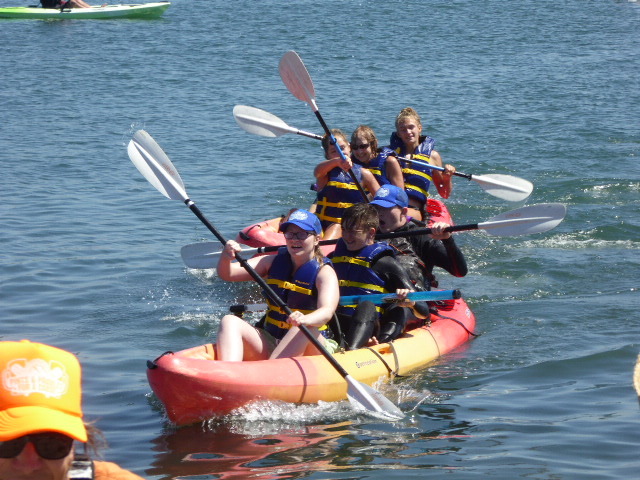 They must wear life jackets, and paddle/stay close to a parent or other designated adult at all times. LAUNCH TIME: Be there by 8:30 to get your boat to the beach. We will launch at 9 am. The sandy beach has a gentle slope for easy launching. 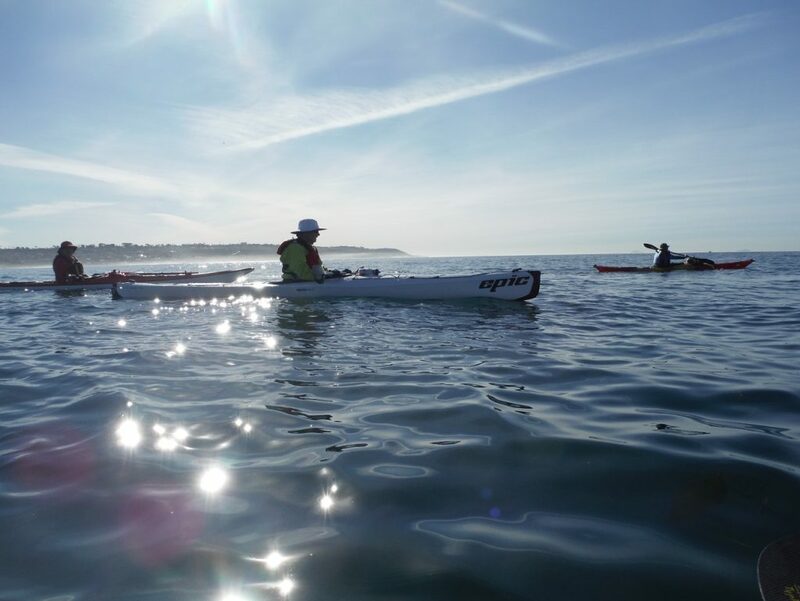 This is a calm water, easy paddle for beginners on those, or any boat type, so come join in the fun. We will be moving at a slow 2 to 2.5 knots. Bring your own food and drink. This is not a potluck. 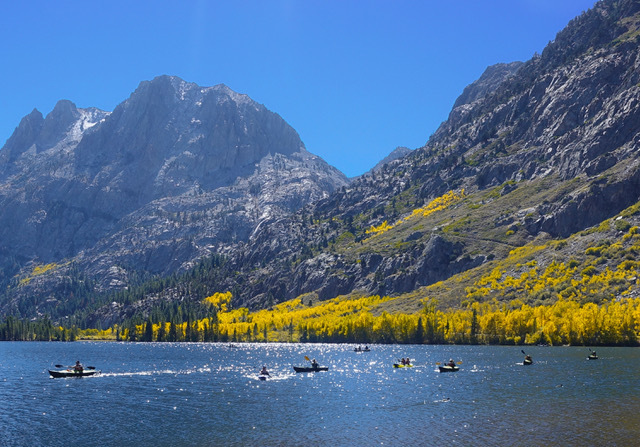 A life jacket (required, and must be worn), hat, boat and paddle, map and compass, GPS if you have one, sunscreen, sunglasses, camera, water and towel to clean your boat, drinking water, snack, VHF radio if you have one, sack lunch and chair for the picnic after the paddle. Turn in to the Cays off of Silver Strand Blvd. Look for the sign, and then the guard house, but you do not need to stop for the guard. Turn right just past that guardhouse, and go until you see Grand Caribe Causeway. 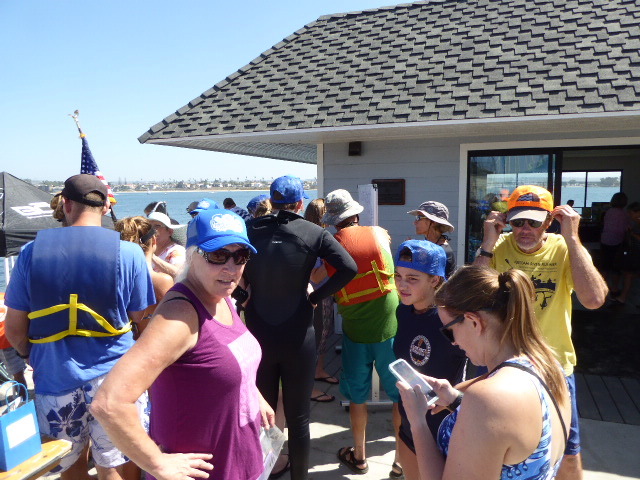 There is a public restroom at the Coronado Cays Park to the west of the Causeway. 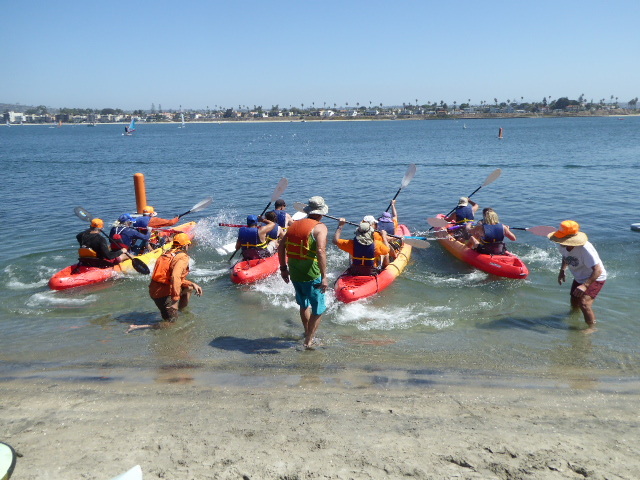 This is not a sanctioned San Diego Kayak Club or Aqua Adventures event. The announcer of this event is not the leader of such, merely a “coordinator”. 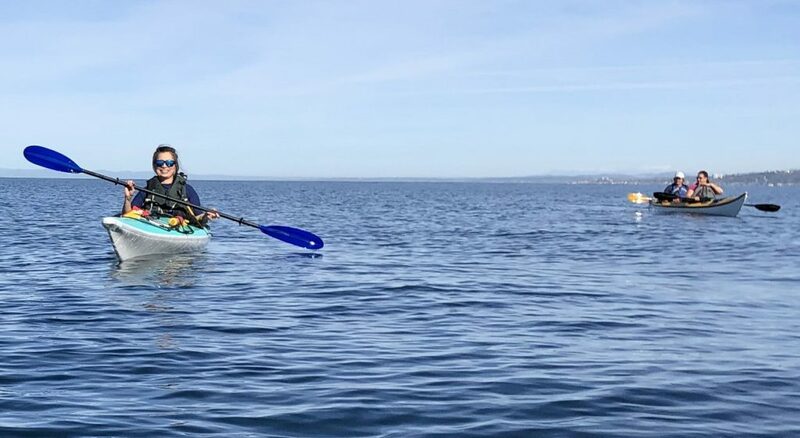 This entry was posted in Paddle on March 27, 2019 by ChrisGriffith. 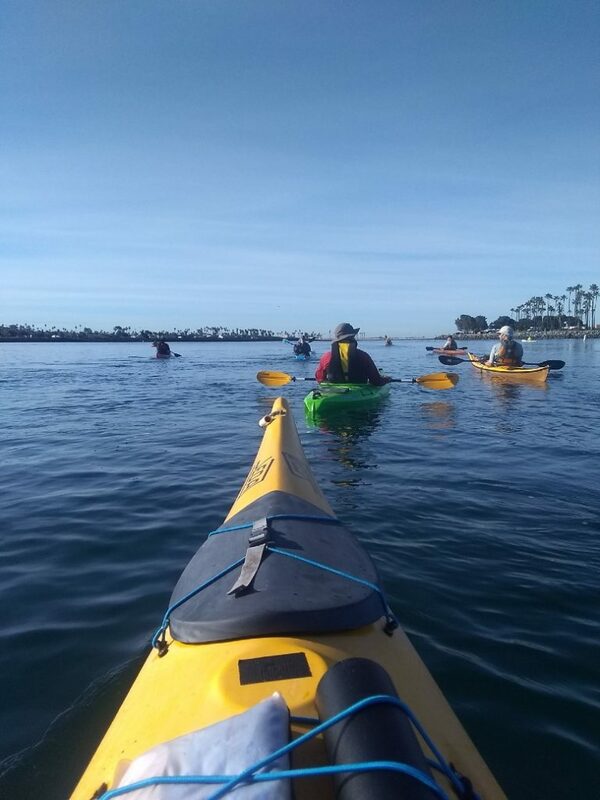 Twelve paddlers ventured out on Sunday, January 27 from Aqua Adventures on a calm ocean and perfect weather. 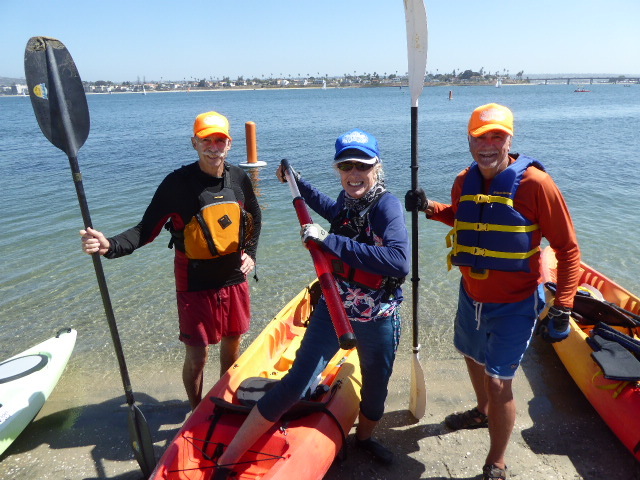 Debbie Van Martin and Dave Beckmann led the paddle, and our thanks to them for doing that. Three whales were spotted in the distance to the west. 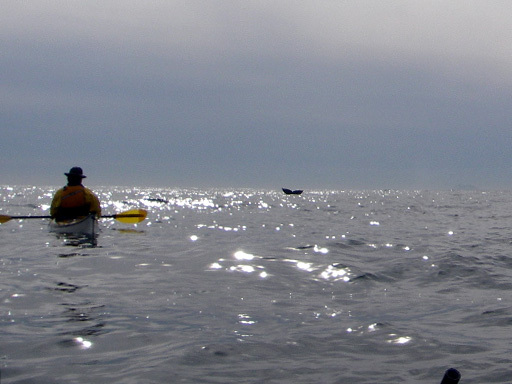 A few paddlers tried to catch up to them, and were able to get a little closer, but those whales were in a hurry to go south. Our thanks to Catherine Kimball and Debbie Van Martin for these photos. 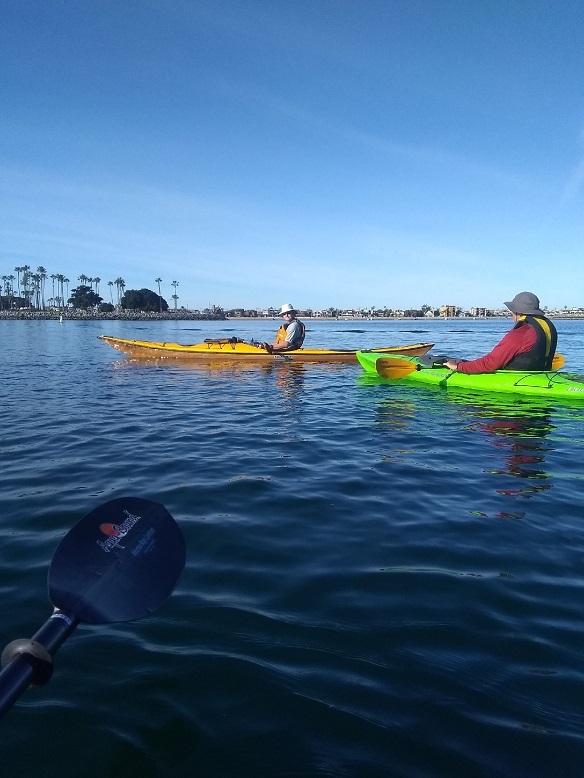 The next club paddle will be in April, launching out of the Coronado Cays to see the wildlife of the south bay. 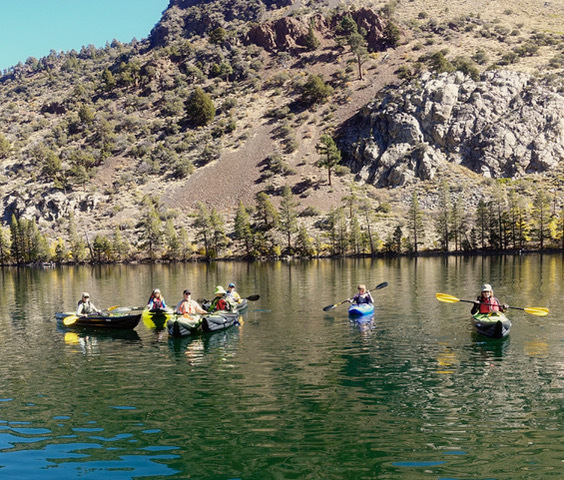 Come join us to experience the quiet openness of that area, and calm waters. There will be a picnic after the paddle. 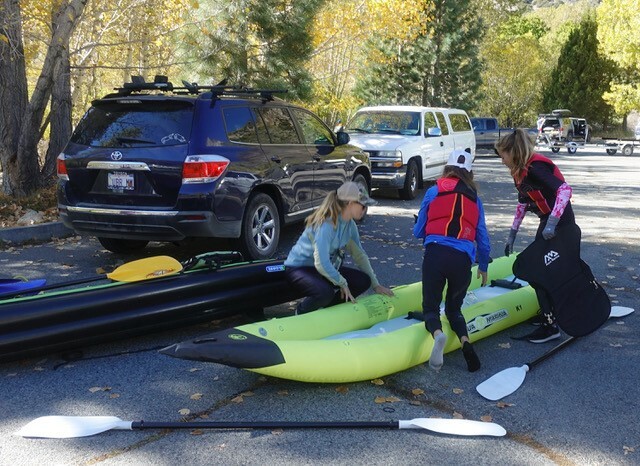 Beginners, youth 12 and up, and all boat types are welcome on this paddle. This entry was posted in Uncategorized on February 3, 2019 by Jay Murdock. 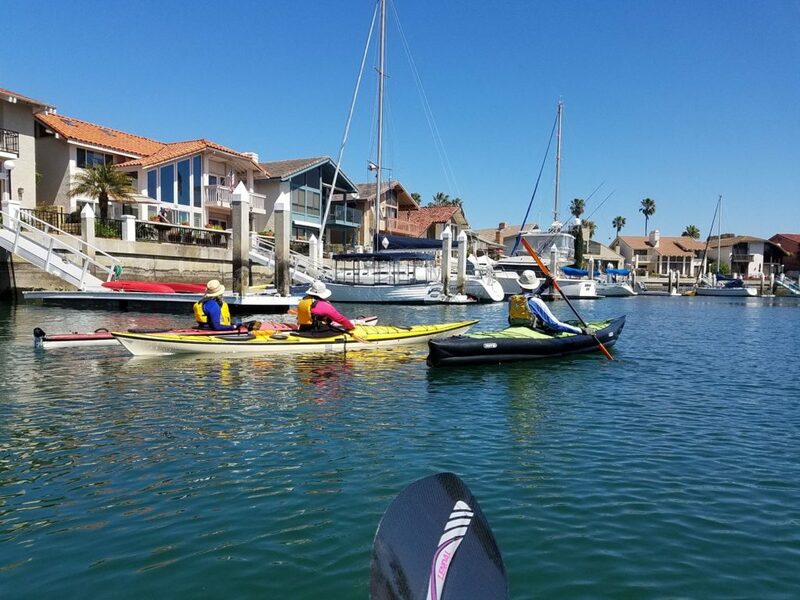 BOAT RENTALS AVAILABLE: If you have open ocean paddling experience, you can rent a boat at the launch site. 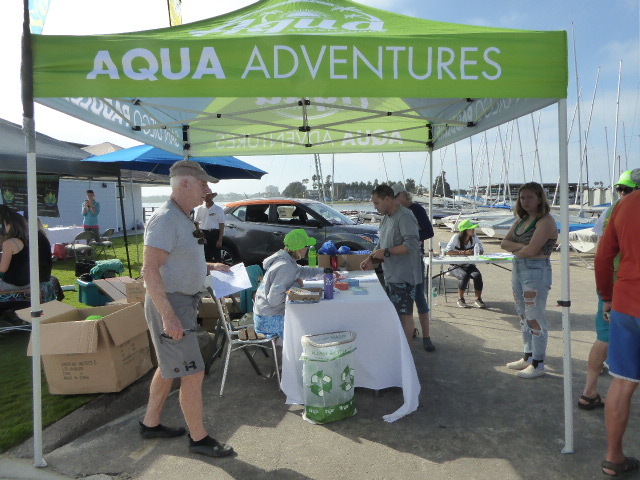 Call Aqua Adventures in advance to reserve equipment. 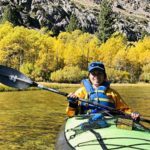 You must have prior experience in a decked kayak, or check with them if they have a fast SOT. Their number is 619 523-9577. EQUIPMENT: All safety equipment is required. If you have them, carry a VHF and GPS, with batteries fully charged. And, always wear your life jacket (required). Remember to bring your water, food, hat, sunglasses, and camera. Please read the disclaimer at the bottom of this email message. IN CASE OF BAD WEATHER: Check your email Friday night after 6 pm if the weather looks bad. We will give an update if the paddle is still on. 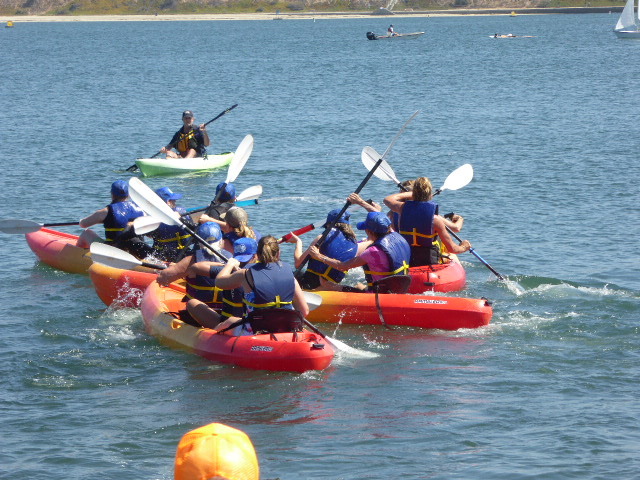 PLEASE NOTE: This is not a sanctioned San Diego Kayak Club or Aqua Adventures event. The announcer of this event is not the leader of such, merely a “coordinator”. 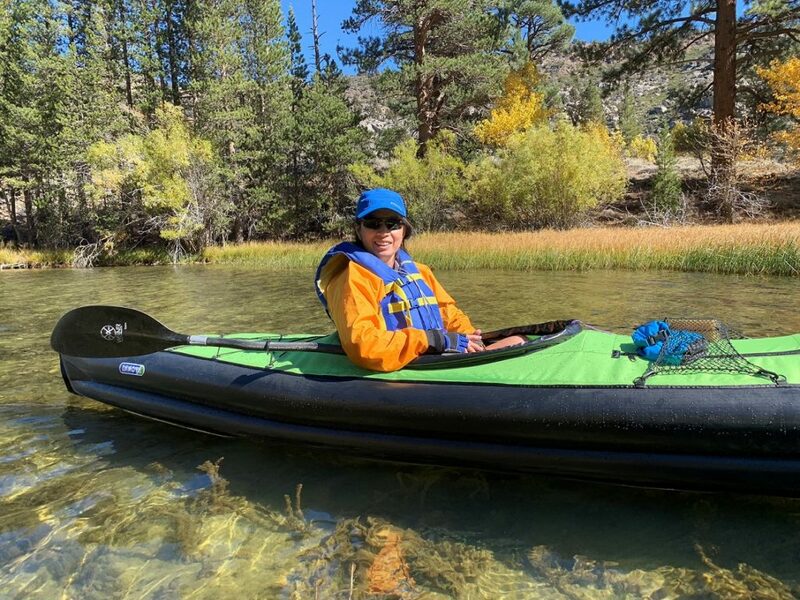 Disclaimer: We will have experienced paddlers on this trip, but they will not be responsible for telling you what is or is not safe for you to do. We watch out for one another and assist one another, but all individuals are responsible for, and manage their own safety. This responsibility includes assessing your gear, skill level, and physical conditioning relative to conditions and location, as well as making decisions about what you will or will not do. 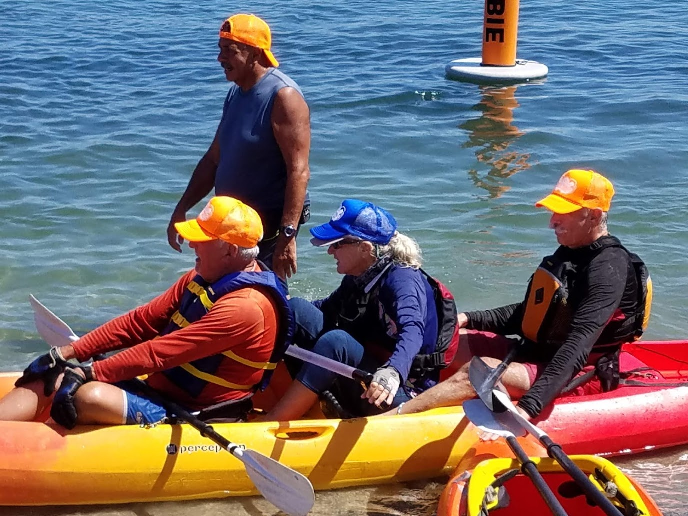 Participants acknowledge that kayaking on the open sea or bay is inherently dangerous and can lead to physical injury including death as well as property damage. Participants, on their behalf and on behalf of their heirs and assignees, agree to hold the announcers and other participants blameless in the event of such injury, damage or death. Please join us if you want to mildly stretch your capabilities, but please stay home if you would be wildly stretching them. Participants should have bracing skills, be able to self-rescue and assist in the rescue of others. They should be able to launch and/or land along the rocky bay front. 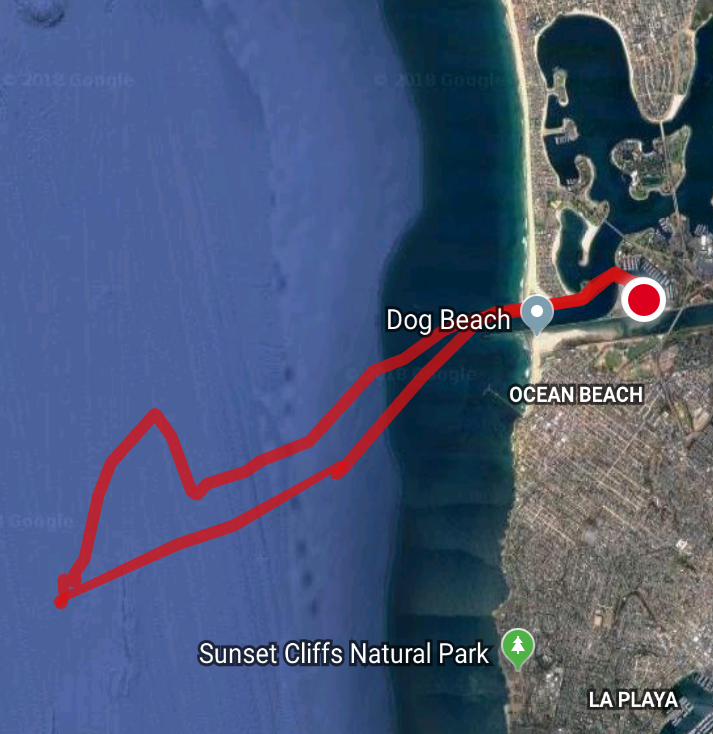 This entry was posted in Event, Paddle, Whale Watching on January 18, 2019 by ChrisGriffith. Some of the people who have given much of their time and effort over the past several years have recently turned over the “reins” to others. 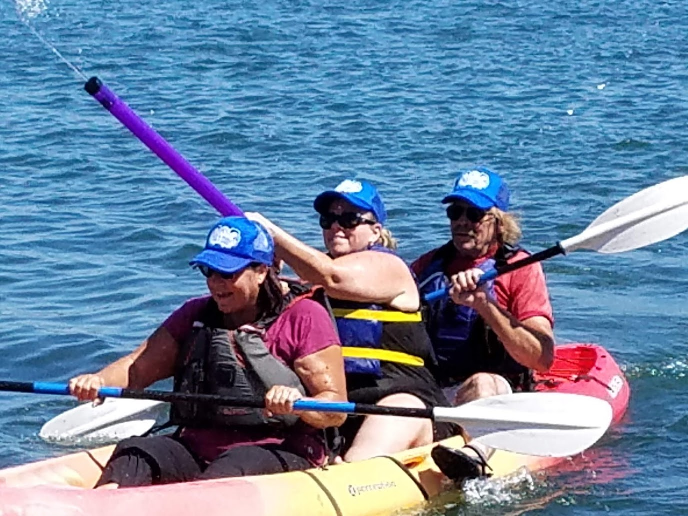 Many thanks to Jane Hardy, Teresa Boli, and Gilbert Siegel for serving the kayak community here, and we are grateful to them. They will still be involved in club activities where they can. 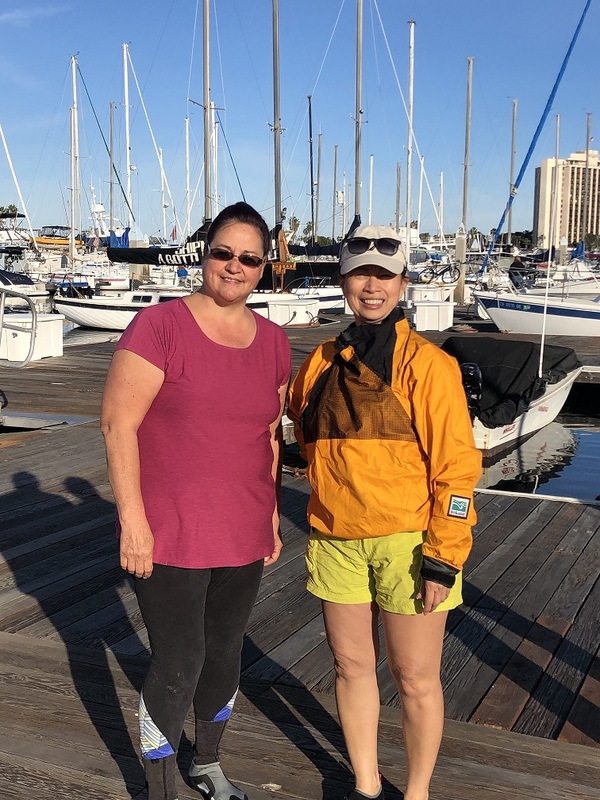 Jane will continue to lead some advanced skills sessions, and we will see Gilbert and Teresa on the water also. 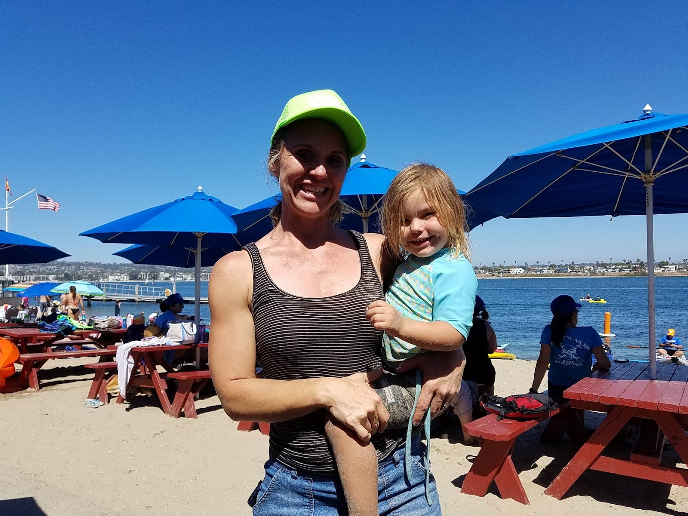 Debbie Van Martin has become our new “Social Events Coordinator”, and will be announcing some events in the future to bring people together in fun ways. She is high energy, a great cook, very interesting to talk to, and a lot of fun to be around. Dave Beckmann has been leading a “Meet Up” group on Wednesday nights for several years, and will now be doing that for the club also. 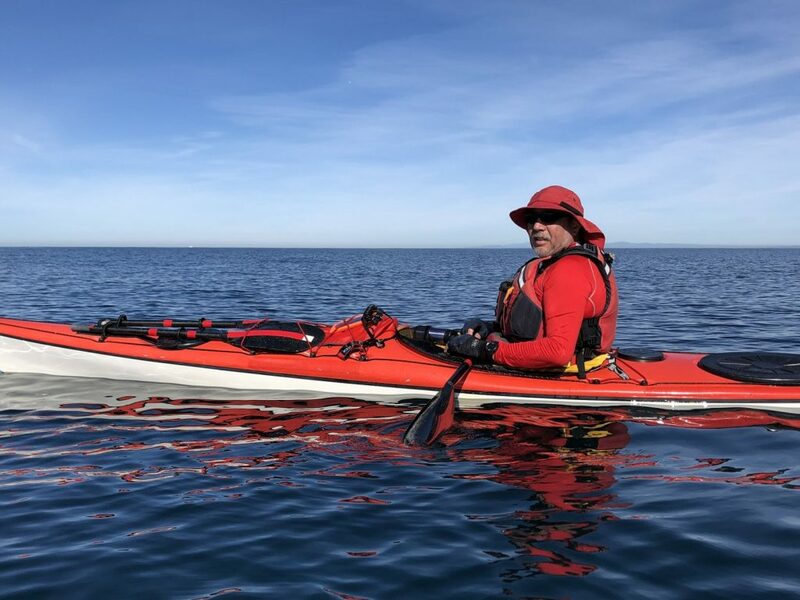 Dave is skilled in kayaking (you can see him performing a snappy “roll” on our website in Skills), and has experienced some interesting paddles back east. 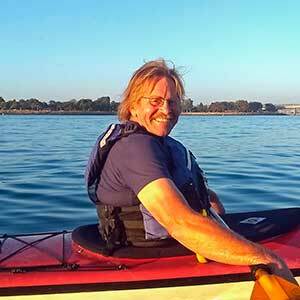 Come paddle with him and others each Wednesday at 5:30pm (launch at 6pm). 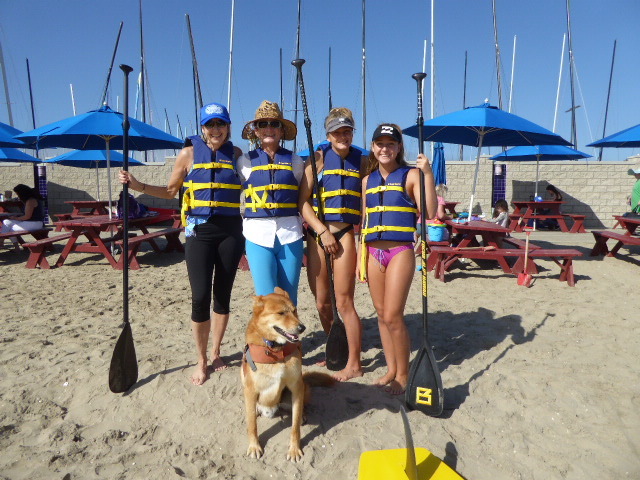 Boat rentals are available through Aqua Adventures at a special rate of $15 for these paddles. 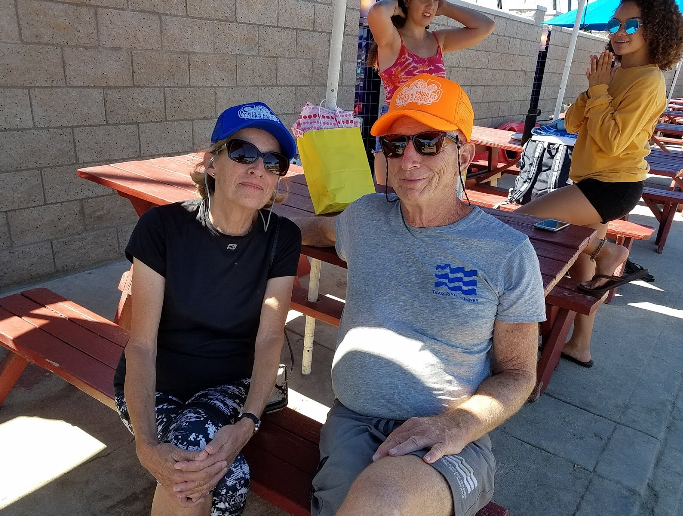 Starting December 14th our cool club hats (in Kaki, Chrome, and Black) will be on sale again at Aqua Adventures (AA) for $20. The hat sales proceeds will be used to pay for lessons and activities to foster club growth and events, so help us in this effort by purchasing a few. They make great gifts and will help the club in many ways. We do not have any membership dues, so this is the way we will pay for things. Please help support our club in this promotional effort. It’s a win-win: you get a new hat, the club gets a new member, and someone gets a free introductory lesson. 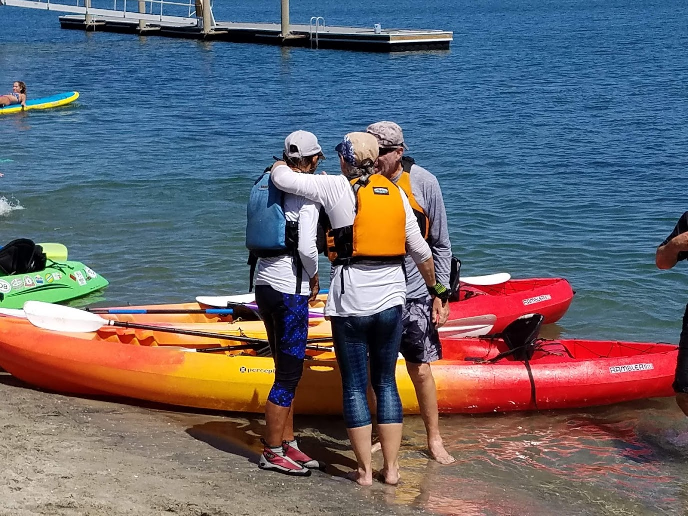 In order to help the club grow, each hat sale will provide one free lesson to someone wanting to experience an introduction to kayaking. In a joint effort with AA, once we have at least 6 hats sold, and 6 people signed up (and signed up as new club members), we will have a Beginner’s Lesson at AA, lasting for an hour or so. 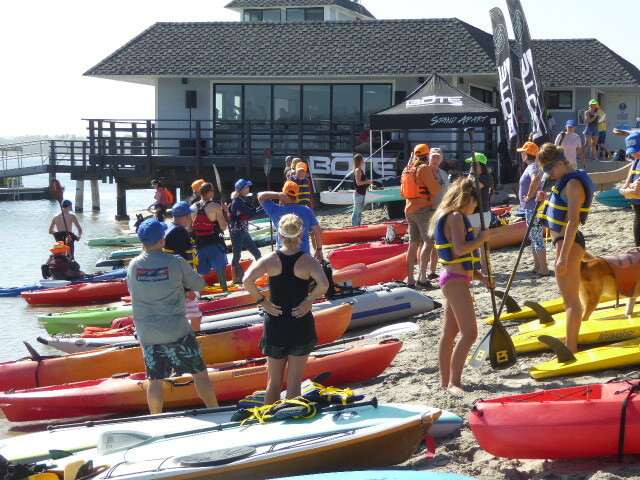 AA will provide the equipment and dock help (that the club pays for), and the club will provide instructors. 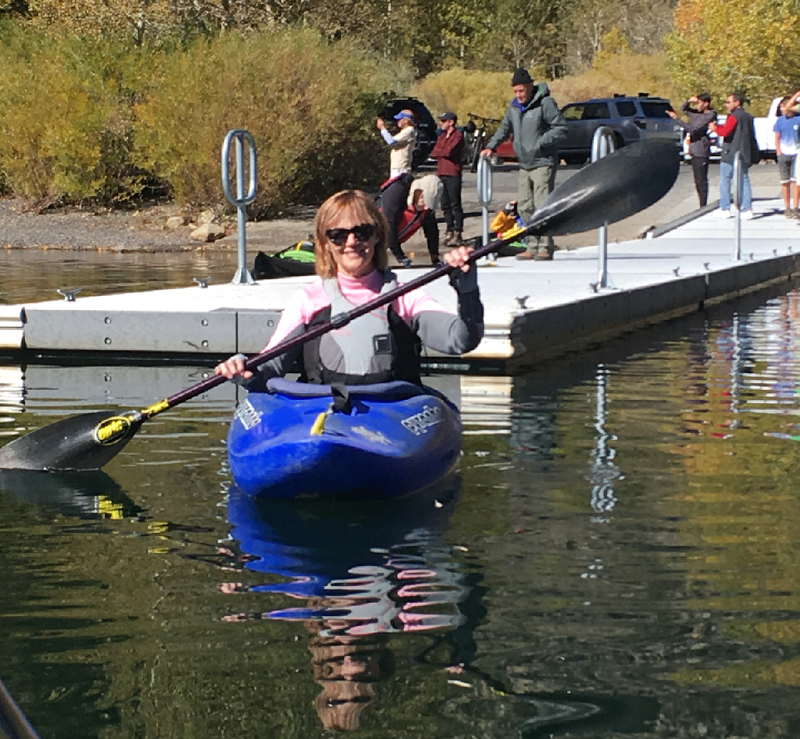 The lesson will go over just the basics, allowing a person to get in a kayak and learn a few paddle strokes and basic boat handling. More advanced skills lessons will then be available through AA for those who want to pursue this sport. We need club volunteers to help teach the Beginner’s Lessons, so please reply to me if you can assist in this. It would be great to have a ratio of one-on-one. This would also help new people make friends with those already in the club. Mentoring is the way to grow our club. 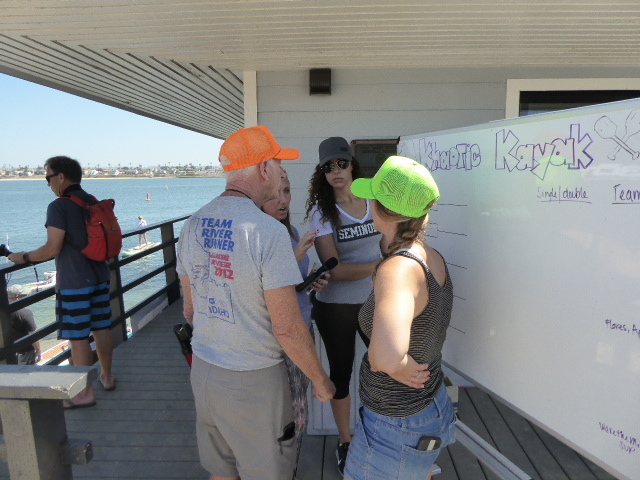 We need people to help lead paddles, teach the Beginner’s Lessons, and assist with social events. 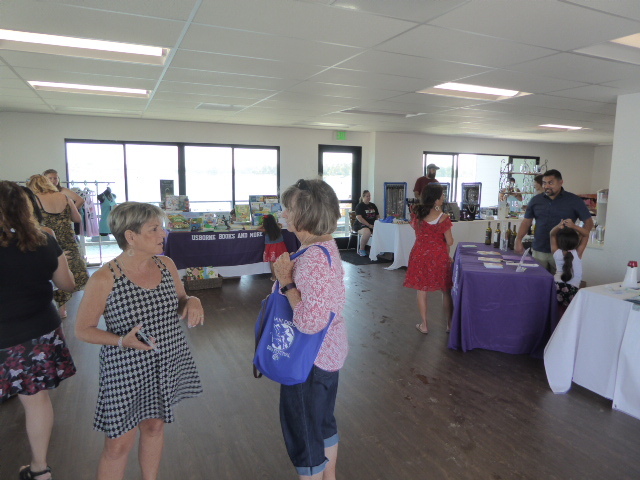 Let Debbie or me know what you can do to help foster our club’s events. If you are a young person, we especially want you to help lead the club’s future with the next generation, passing on this great sport to others. 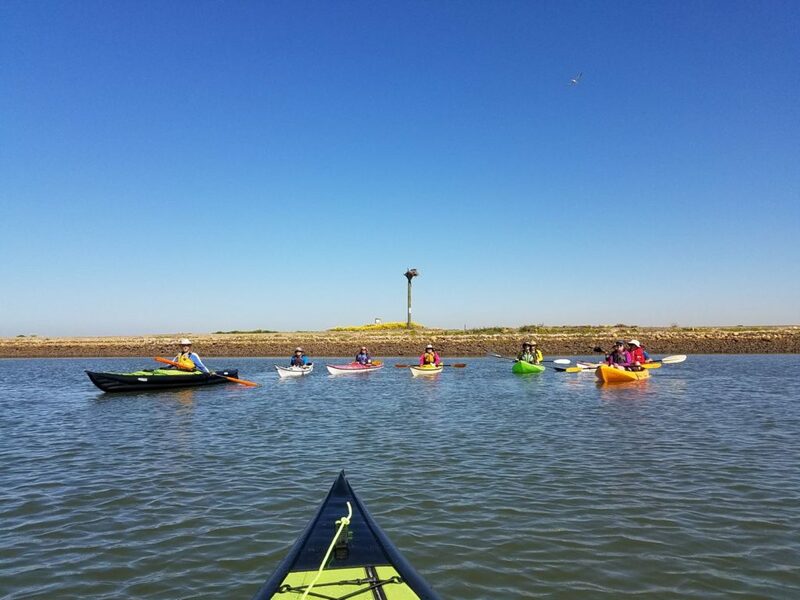 Anyone is welcome to contribute an article on kayaking on our club website. AA has a good variety of decked and SOT boats to rent. You can find their website by the link on the club’s home web page for their shop info. 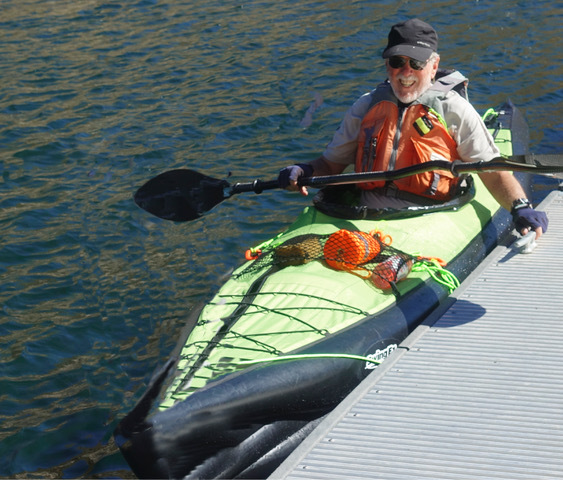 They are committed to stocking more kayak items, so stop in to give any suggestions you want to see them carry. 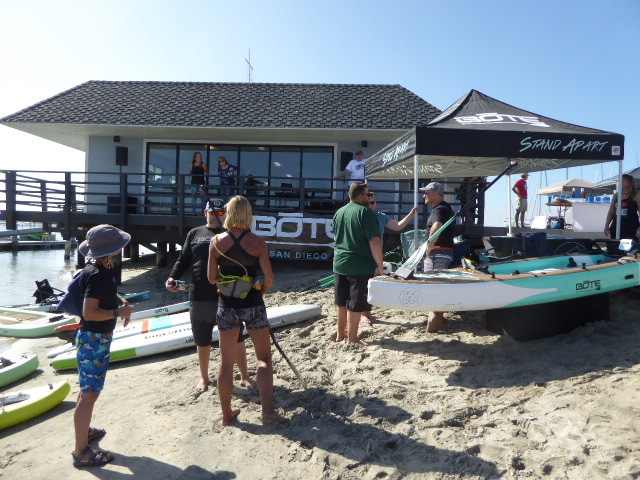 Congrats and many thanks to Craig and Ashleigh for their beautifully renovated shop, and all the hours they put in to grow the sport of paddling. We value the club’s partnership with them, and are grateful they are doing so much for us, TRR, and other worthy organizations in this area. This entry was posted in Uncategorized on December 4, 2018 by ChrisGriffith. 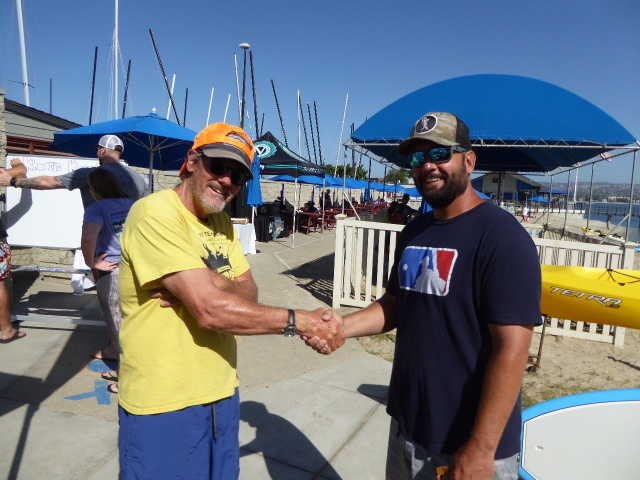 For you old timers who met and paddled with Ed Gillet or those who heard of the legend (the only kayaker to cross from the mainland to Maui, in 1987! 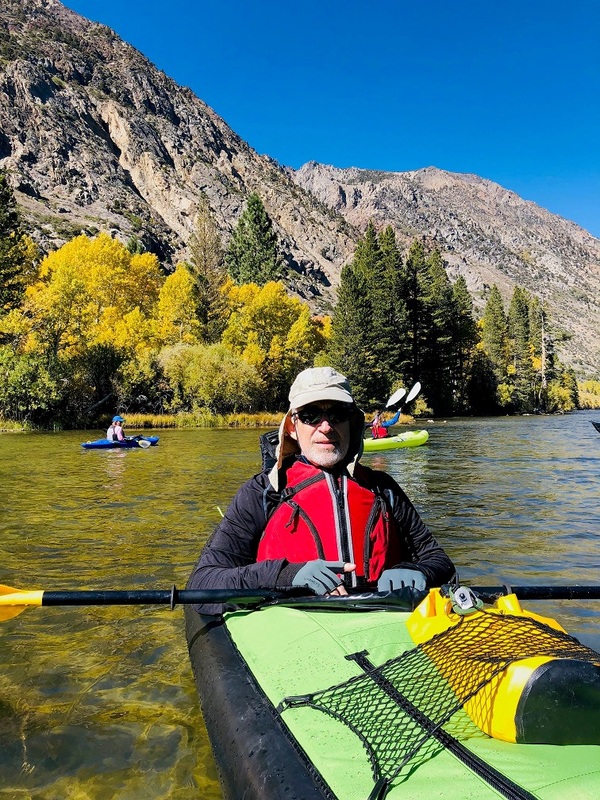 ), Dave Shively, the longtime managing editor of Canoe & Kayak and senior editor of SUP magazine, wrote up his story using interviews and Ed’s journal. It was such an amazing crossing and he barely survived. In the summer of 1987, Ed Gillet achieved what no person has accomplished before or since, a solo crossing from California to Hawaii by kayak. Gillet, at the age of 36 an accomplished sailor and paddler, navigated by sextant and always knew his position within a few miles. 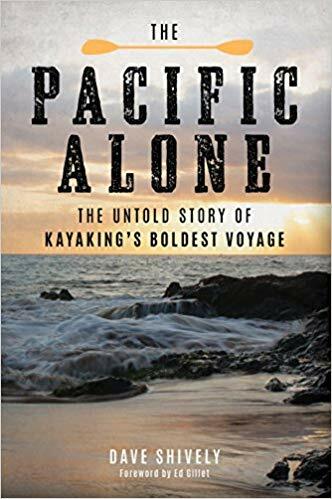 Still, Gillet underestimated the abuse his body would take from the relentless, pounding, swells of the Pacific, and early into his voyage he was covered with salt water sores and found that he could find no comfortable position for sitting or sleeping. 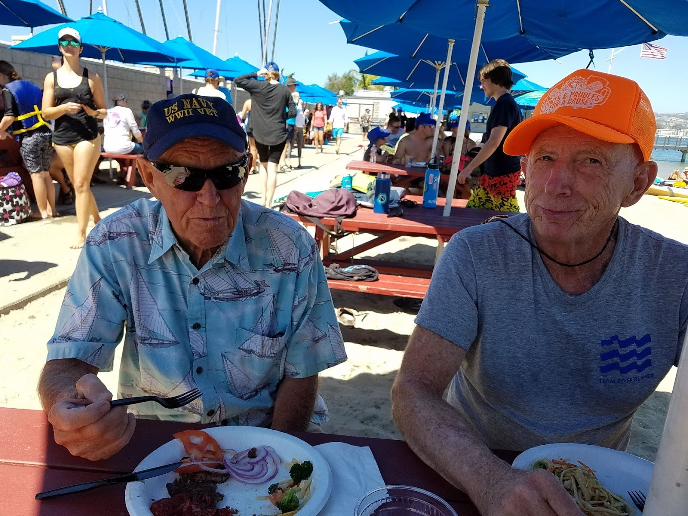 Along the way, he endured a broken rudder, among other calamities, but at last reached Maui on his 63rd day at sea, four days after his food had run out. Dave Shively brings Gillet’s remarkable story to life in this gripping narrative, based on exclusive access to Gillet’s logs as well as interviews with the legendary paddler himself. For more about this book, the San Diego Union-Tribune has this article. This entry was posted in Uncategorized on November 25, 2018 by ChrisGriffith. 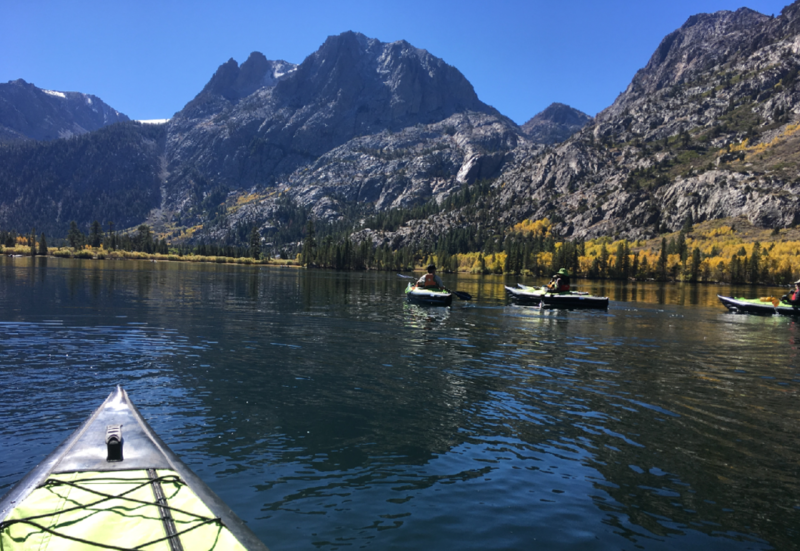 The annual Fall Colors Trip in the Sierras this year had great weather and new experiences, as nine of us paddled Silver Lake, then did some exploring up the Lundy Lake canyon. 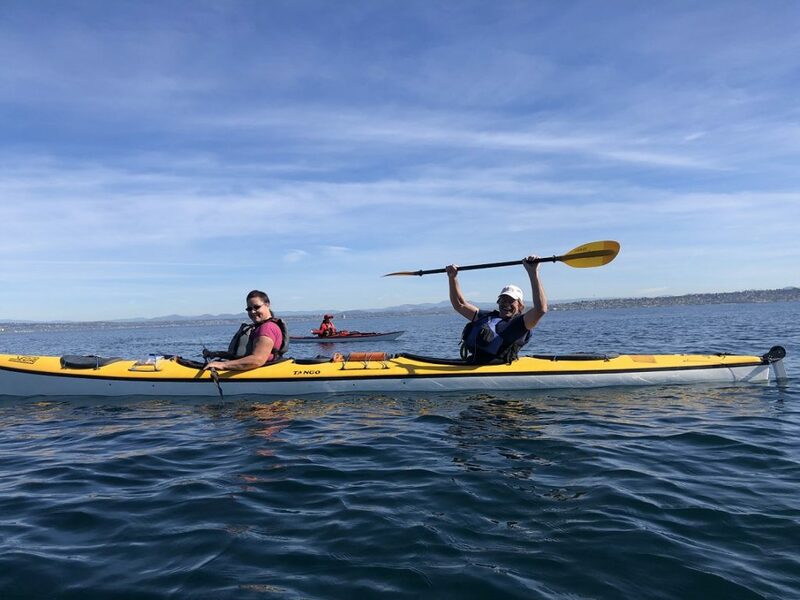 Eric from the Napa area joined us on the paddle, and brought his Swing EX inflatable kayak, making five of those boats on the water (the boat we will be taking to Sitka, Alaska next June). Those paddling the Swing EX were impressed with the speed and maneuverability of these kayaks. 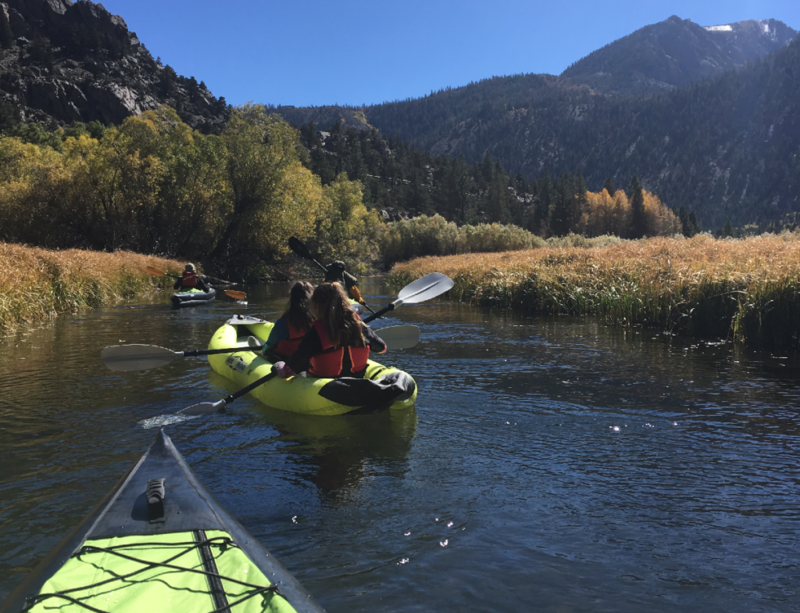 Going up the feeder creek into Silver Lake, they made the sharp turns without any problems. 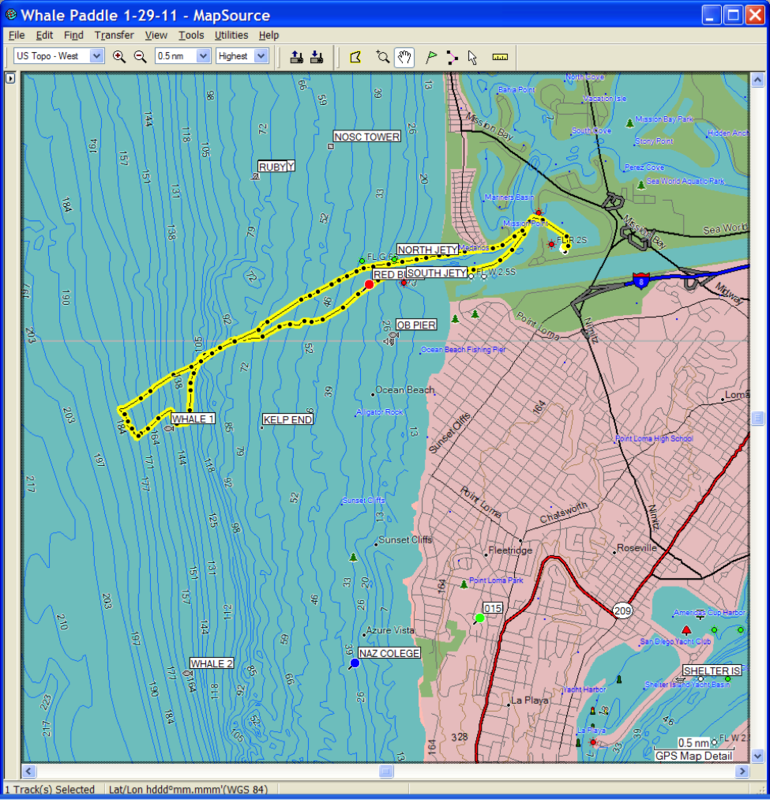 I left off installing my skeg to see how the boat would track, and it did surprisingly well. Pumped up to 3 psi, these boats are rigid and have similar “skin” as Zodiacs, making them very durable. 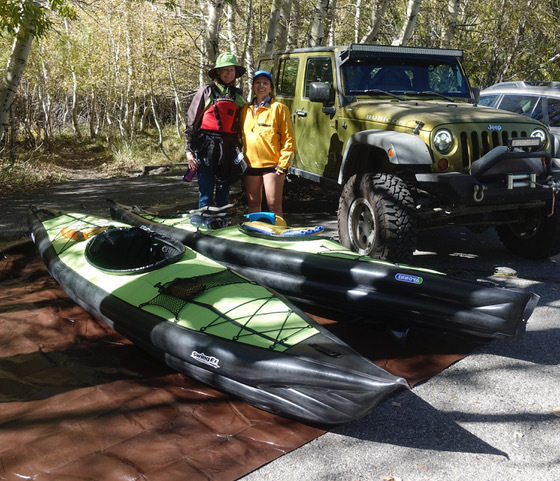 The portability of inflatable kayaks was demonstrated on this trip, as we had only one hard shell boat in our group. I did not miss looking through the tie-down ropes on the drive up and back, nor the hassle of car-topping my Legend. The nice thing about the June Lake trip is the village right adjacent to the campground. Some of us camped, while others stayed in motels. We went to two restaurants, and have gone to the local brewery there also in the past. 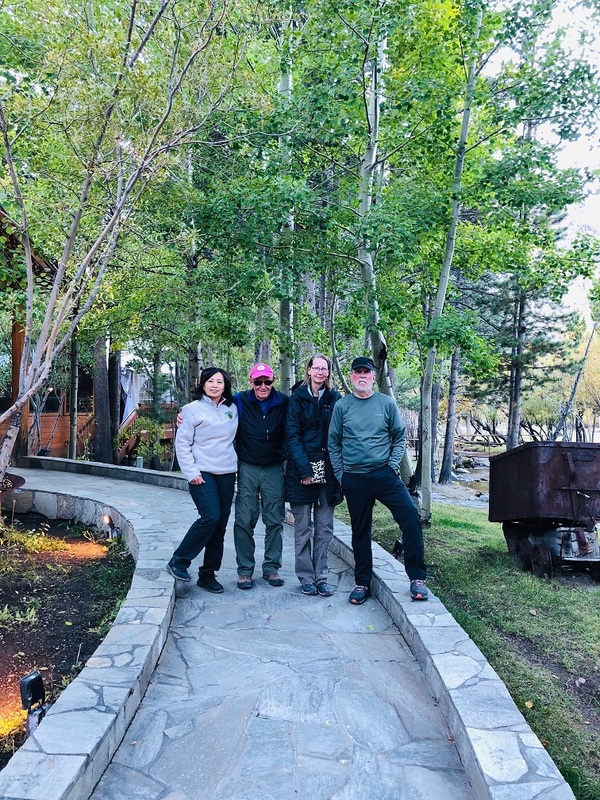 There is great hiking among the Aspens, and lots to explore and do with good friends. 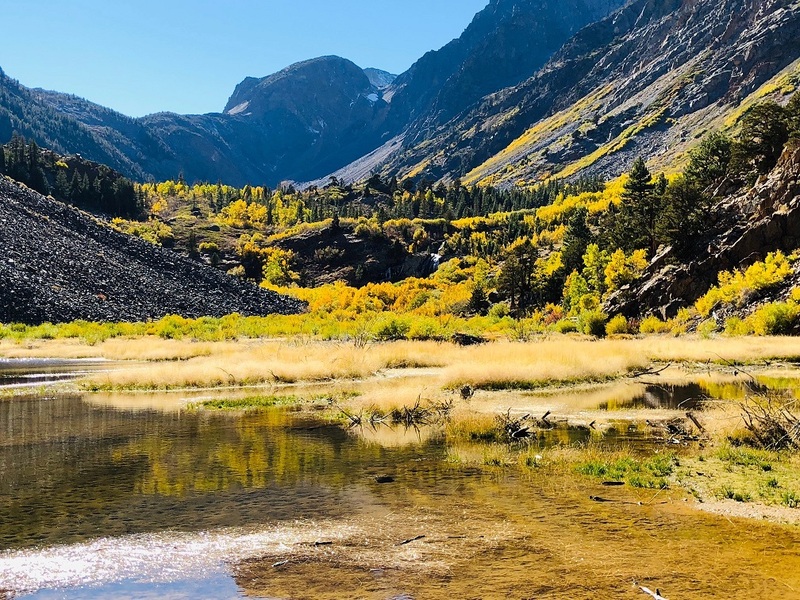 Every year the colors have been slightly different, and this year the trees had not yet “peaked” in color, but there were some, especially in Lundy Canyon that were deep gold. 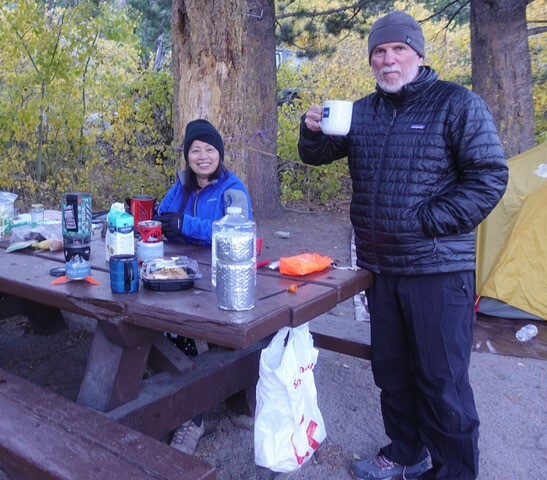 The crisp fall air, the campfire, and enjoying friendships in a beautiful setting is always a rewarding experience. Come join us next year! This entry was posted in Uncategorized on October 21, 2018 by Jay Murdock. 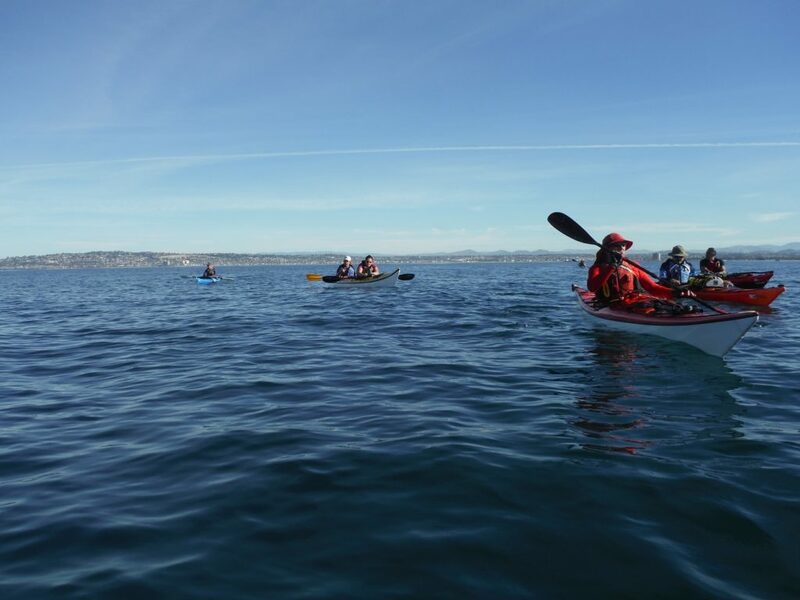 Opportunity for Kayakers! 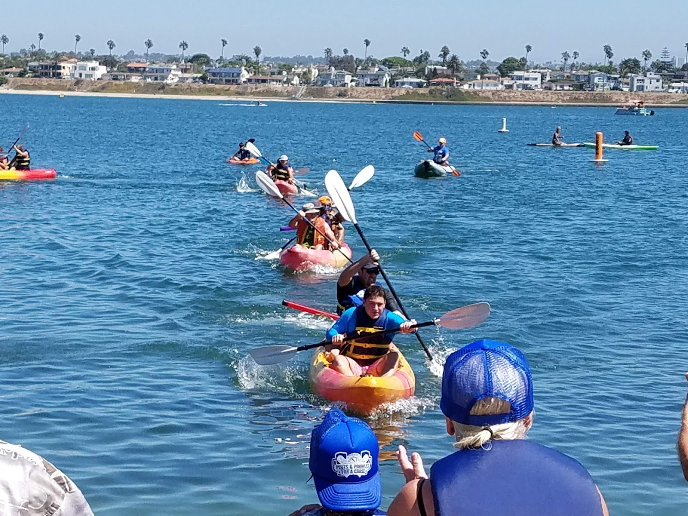 The San Diego River Park Foundation has received special permission to enter the San Diego River Estuary in kayaks to remove trash out of the River on November 10! 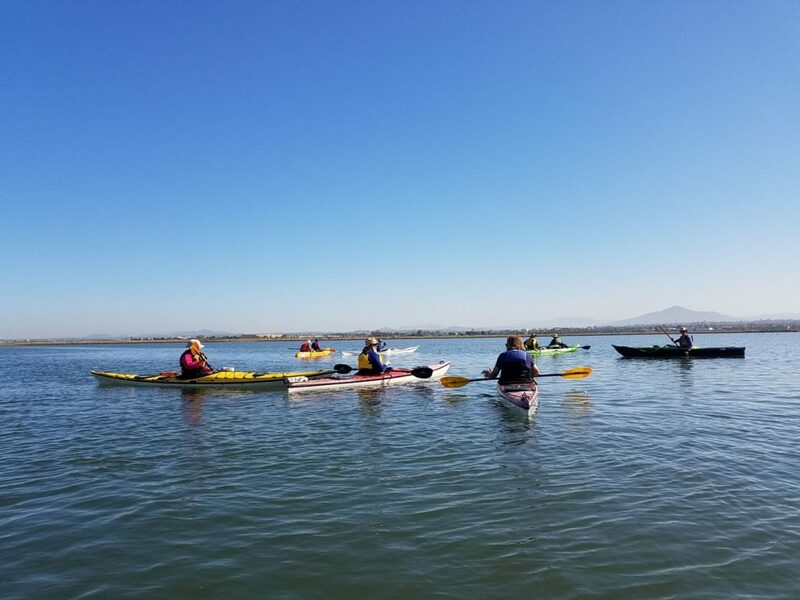 If you can provide your own kayak, this is a great opportunity for a unique experience in your own backyard! 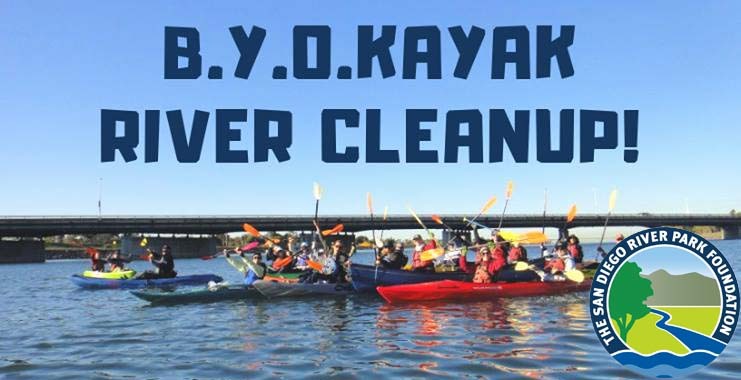 If you don’t have a kayak, but would still like to help out, they will be hosting a cleanup on shore from 9am-Noon. 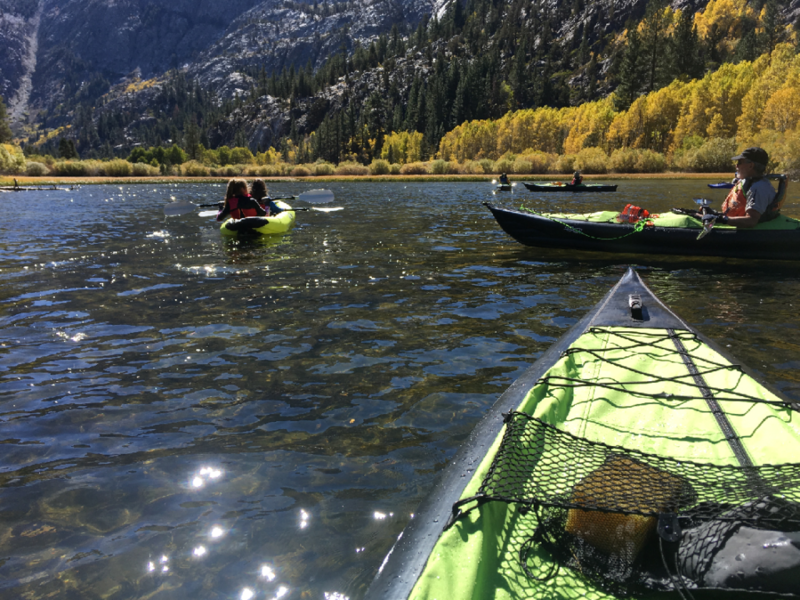 RSVP is required and kayaker space is limited. To RSVP or ask a question, please email volunteer@sandiegoriver.org or call (619) 297-7380. 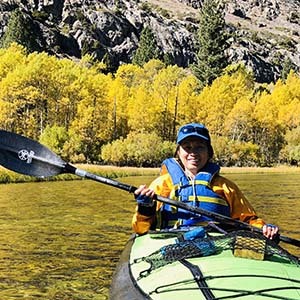 This entry was posted in Event, Paddle on October 2, 2018 by ChrisGriffith. 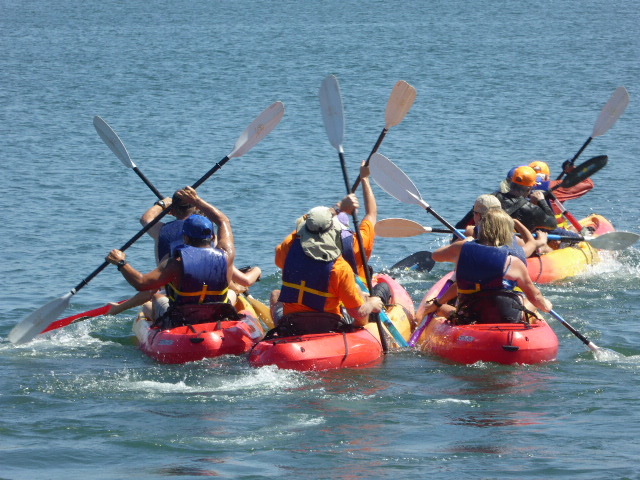 Call for support paddlers! 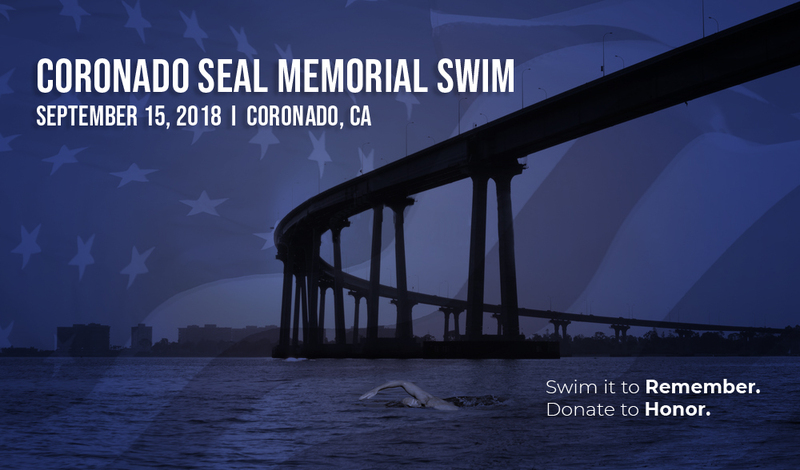 The 3rd SEAL Memorial Swim is looking for some support paddlers for this event. They start just north of the rocks in front of Hotel Del and go all the way around and exit at Boy Scout landing by Glorietta Bay park. 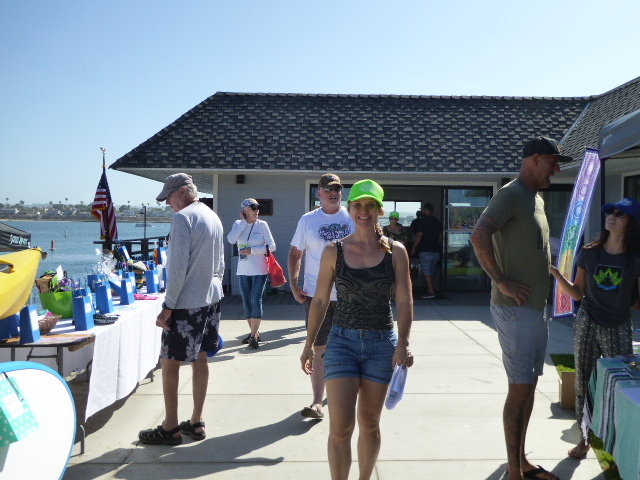 The event is Saturday, September 15th The swim will start at 0700 and check in for the event starts at 0600. They are looking for 2 paddlers. One to be the safety paddler to trail the group and the other to be the support paddler. 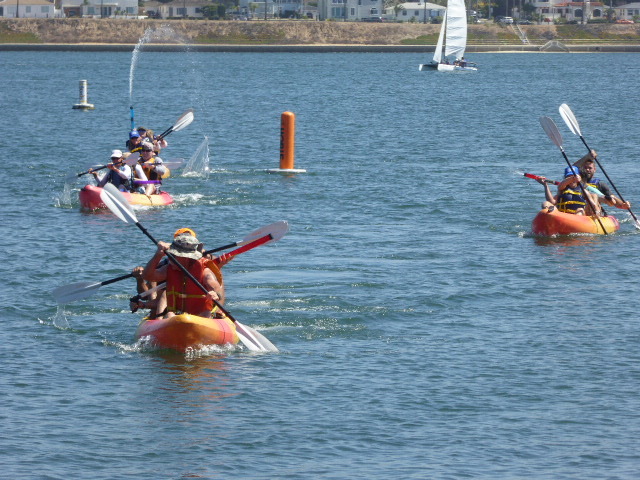 Most swimmers will be on relays and swimming for 20 minutes at a time and supported by relay boats. There will be a few solo swimmers who will all need their own kayak for safety and support. It’s a great event and if anyone would like to help we will be having a luncheon afterward on a nice yacht right in the bay and they would be invited to participate. 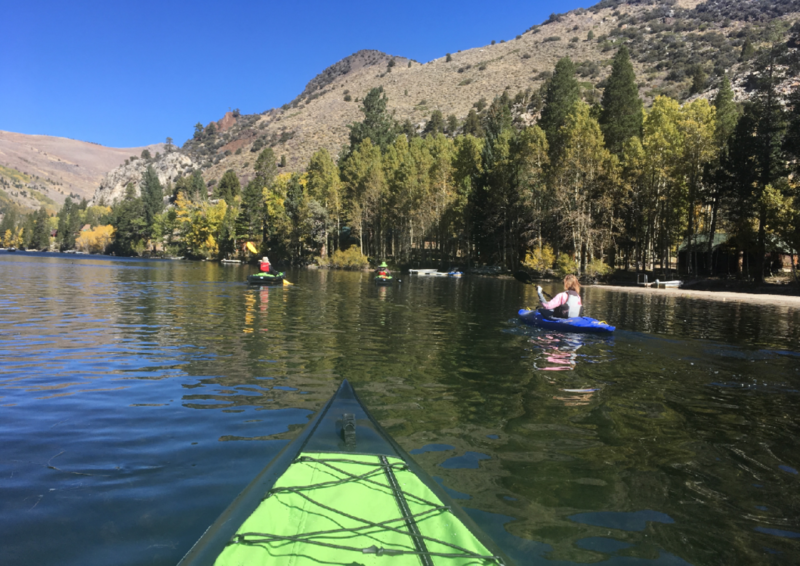 This entry was posted in Event, Paddle on September 4, 2018 by ChrisGriffith.